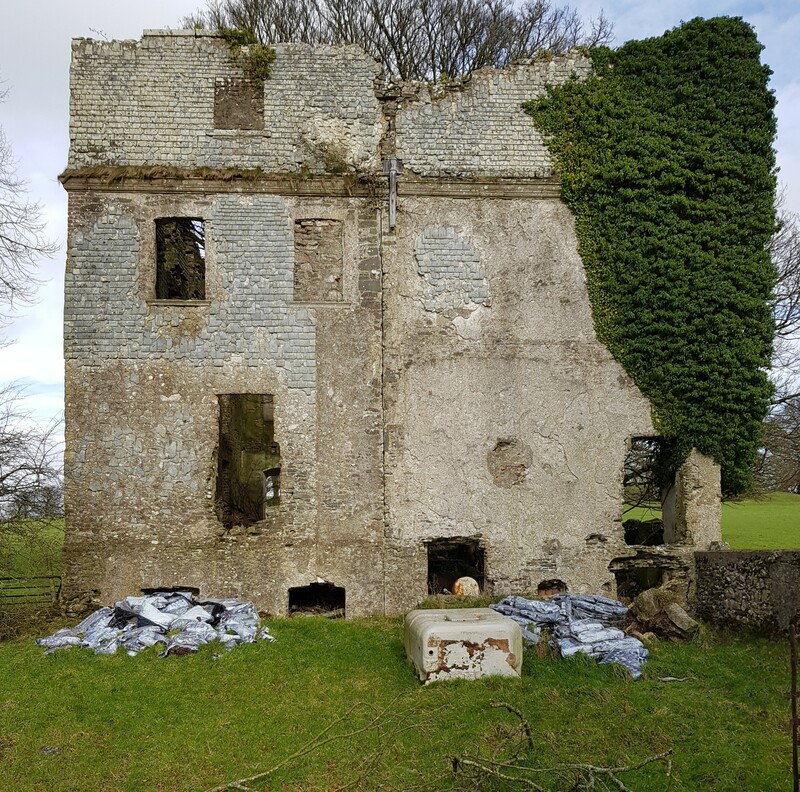 Jonathan Swift, Dean of St Patrick’s Cathedral, Dublin and author of sundry celebrated works including Gulliver’s Travels and A Modest Proposal, is associated with Fortgranite, a County Wicklow house, the contents of which are being sold tomorrow. The Swift family’s rise in fortune originated with an earlier cleric, the Rev Thomas Swift who in 1566 became vicar of St Andrew’s church in Canterbury, Kent and subsequently married the heiress daughter of the Bishop of Bath and Wells, Thomas Godwin. The latter was recalled in the first name of the Rev Thomas’ eldest great-grandson, Godwin Swift, a lawyer who after 1660 served as Attorney General to the Viceroy the Duke of Ormonde, and was duly rewarded for his service with an estate in County Kilkenny, Swifte’s Heath. One of Godwin Swift’s younger brothers, Jonathan, also moved to Ireland but died within a year, aged only 27. He left a pregnant wife who seven months later gave birth to a son, also called Jonathan, the future dean. He benefitted from the support of his uncle Godwin (who incidentally had fifteen sons and four daughters by four wives), and then from the latter’s son Willoughby (Jonathan Swift’s cousin) who paid for his education and secured employment as secretary with Sir William Temple. His later clerical and literary careers are well known. What has any of this to do with Rockgranite? In 1711, Godwin Swift’s grandson Thomas Swift married Frances Dennis, heiress of a timber merchant from Kinsale, County Cork: the couple had two sons, the Rev. Meade Swift-Dennis and John Swift-Dennis. In 1782, these two men were joint beneficiaries of the substantial estate left by their late uncle, James Dennis, former Chief Baron of the Exchequer and first (and last) Lord Tracton. The only condition was that they adopt the arms and name of Dennis. They duly did so, the Rev. Meade Dennis subsequently acquiring the Fortgranite estate which was left to his son Thomas Stratford Dennis. As the latter’s middle name indicates, he was related to the Stratford family, his grandmother being a daughter of the first Earl of Aldborough, a name that has been discussed here more than once (see in particular Splendours and Follies, September 30th 2013, A Thundering Disgrace, January 13th 2014 and A Thundering Disgrace No More?, February 27th 2017). Fortgranite is a house originally dating from c.1730, although sections of the basement suggest that there might already have been a tower house on the site, a not-unusual circumstance. The house was built for one George Pendred, whose family may have been Cornish in origin. He married an heiress Cordelia Saunders, daughter of lawyer and politician Morley Saunders, who c.1716 built a splendid house in County Wicklow, Saunders Grove (burnt 1923). As elsewhere in this take, the son of George and Cordelia Pendred changed his surname to Saunders in order to benefit from a family legacy, and was called Morley Pendred Saunders. His daughter Delia married the Rev. Meade Swift (later Dennis) and in turn their eldest son Thomas Stratford Dennis married his cousin Katherine Saunders. Thus two generations of one family benefitted from marrying two generations of another. In turn Fortgranite appears to have gone through two remodellings in the 19th century, the first c.1810-15 following the marriage of Thomas Dennis to Katherine Saunders, the second undertaken by the couple’s eldest son Meade Dennis in the early 1870s, the last occasion when such enterprises were made before the onset of the Land Wars and consequent decline of Big House estates in the following decade. As a result of these two refurbishments, Fortgranite shows little evidence of its earlier manifestations, displaying the gravitas typical of a high-Victorian country house. Still, until recently the interior was filled with evidence of former eras, and of the diverse families who had both inherited the place and, through marriage and other connections, bequeathed items to it. All either now gone, or about to do so following tomorrow’s contents sale. With them are dispersed the collective links to Patrick Swift, to the Earls of Aldborough, to timber merchants of Cork and Anglican clergy of Westmeath, to an entire history of Ireland’s gentry. All scattered, never to be brought together again. The bungalow-strewn village of Stratford on Slaney, County Wicklow looks as though it could be a modern suburb almost anywhere. However a handful of houses indicate the place has an older pedigree. The name derives from founder Edward Stratford, second Earl of Aldborough whose architectural ambitions have been discussed here before (see Splendours and Follies, September 30th 2013, A Thundering Disgrace, January 13th 2014 and A Thundering Disgrace No More?, February 27th 2017). He developed the village during the last quarter of the 18th century, intending it to be a centre for the textile industry, specifically cotton and printing works. At its height in the 1830s, Stratford on Slaney contained 104 houses (and thirteen public houses) with a population of 2,833 people, 1,00o of them employed in the fabric factory. Lord Aldborough built places of worship for Anglicans, Roman Catholics and Presbyterians, a dispensary and several shops. The famine and its attendant woes in the following decade put an end to the business, and so to Stratford where the factory closed and people moved away: in the census of 2016, the village had a population of just 241 persons. These few houses, dating from c.1840 are all that remain of Lord Aldborough’s ambitions. The remains of Tober House, County Wicklow. The building is believed to date from c.1720 when constructed for a branch of the Powell family (not Power, as is often stated) It appears the house originally rose two storeys over basement but an additional floor was later added above the moulded string course. It’s curious to note that the windows on the ground floor are not symmetrically spaced: one of them on the ground floor being much closer to the entrance than the other. Parts of the slate cladding on the south wall survive, as does the handsome limestone lugged doorcase. Tober is said to have been gutted by fire at the end of the 18th century, perhaps during the time of the 1798 Rebellion when this part of the country was engulfed by violence. It has stood a ruin ever since. Inside the rear section of the former army barracks at Glencree, County Wicklow. In the aftermath of the 1798 Rebellion when this part of the country proved difficult for the authorities to control, a route still called the Military Road was constructed through the Wicklow Mountains, and these buildings erected in 1806 to house 100 troops. In the aftermath of the Napoleonic Wars they vacated the barracks which during the second half of the 19th century was converted into a boy’s reformatory, being used for this purpose until 1940. The site then served as a prison for captured German military personnel (a small cemetery holding the remains of those who died during that period remains close by) and since the mid-1970s one block has been the Glencree Centre for Reconciliation. However, as can be seen, the buildings immediately behind have been left to fall into their present state of disrepair. The drawing room ceiling in Killruddery, County Wicklow. This part of the house was designed for the tenth Earl of Meath by Richard and William Vitruvius Morrison in the 1820s. Usually the names of craftsmen employed in such tasks remain unknown but specific information has been found about this ceiling. The principal plasterer was Henry Pobje of Dublin but he didn’t work alone. Fifty years ago in 1968 when Elizabeth, Countess of Meath was repainting the room, she discovered on top of one section of the cornice the name of Simon Gilligan, together with the date 24th April 1824, which was presumably when the plasterwork was completed. The shore of Lough Tay, County Wicklow into which the ashes of the Hon Garech Browne were committed yesterday in the company of family and friends. The devoted custodian of the Luggala estate for half a century, his generous cultural patronage, not least through the creation of Claddagh Records, were deservedly eulogised during the afternoon in words and music alike. While Garech has gone, he leaves rich memories and a legacy certain to last as long as water laps on Lough Tay’s shore. A portrait of Oonagh Guinness commissioned in 1931 from the fashionable artist Philip de László by the sitter’s then-husband Philip Kindersley, who paid £1,575 for the work. Much admired, the picture was exhibited in Paris the following year in a retrospective of de László’s career. Thereafter it hung in the drawing room at Luggala, County Wicklow until Oonagh Guinness’ death in August 1995 when bequeathed to Gay Kindersley, the son of her first marriage: he sold the picture and its whereabouts ever since remain a mystery. On Saturday afternoon (June 16th) at Farmleigh, Dublin I shall be speaking about Oonagh and her son, the recently deceased Garech Browne, and how they made Luggala a magnet for artists. This is part of a series of events to coincide with an exhibition of Irish portraits by Garech’s close friend Anthony Palliser currently being held in the same venue. No site looks its best in torrential rain, but under these circumstances there is something especially melancholic about Kilmacurragh, County Wicklow. Over the past couple of decades, the historic gardens here have undergone a wonderful and welcome rebirth, but the house which has formed the centrepiece of the estate for over three centuries now stands a roofless shell. It is located on the site of an early Christian settlement, based around a hermitage established by St Mochorog, said to be an Englishman of royal birth who came to Ireland at the start of the 7th century. A monastic community remained here until Henry VIII’s dissolution of all such religious establishments, but some of the building’s foundations have been found under parts of the present garden at Kilmacurragh. Ownership of the lands were then disputed between the local Byrne family and various settlers. However, in 1697 Thomas Acton secured a lease on the property from the Parsons family, then as now based in Birr, County Offaly (where their gardens are likewise renowned). The original Thomas Acton – grandfather of the one already mentioned – is believed to have come to Ireland in the mid-17th century with the Commonwealth army, and like so many other of its members to have stayed because rewarded for his service with property here. In 1716 the younger Thomas Acton obtained from the then-Viscount Rosse ‘leases for lives renewable forever’ at Kilmacurragh; twenty years later his son William Acton married the Viscount’s cousin, Jane Parsons. Thereafter successive generations of Actons would live at Kilmacurragh and develop its gardens until the opening decades of the last century. Almost from the moment of arrival at Kilmacurragh, the Actons seem to have been particularly interested in the improvement of their demesne. Presumably around the same period that he built the present house at the close of the 17th century, Thomas also laid out a formal Dutch-style park, with canals and formal avenues. He also created a forty-acre Deer Park. In turn his son William Acton laid out a two-mile beech avenue to celebrate his marriage to Jane Parsons in 1736. Fourteen years later she received a premium of £10 from the Dublin Society (founded less than two decades before) for the planting of ‘foreign trees’ and accordingly large numbers of these were given a place on the estate. In 1780 her son, another Thomas Acton, married Sidney Davis who would in turn receive grants from the same society for growing small plantations, using the money to acquire further rare species. Lt. Col. William Acton inherited the estate in 1817 and he undertook further work, both in the demesne and on the house. With regard to the former, he is believed to have built the walled garden with an orangery and ranges of glasshouses, as well as providing employment during the Great Famine by the restoration of the ha-ha that surrounded the old deer park. He also further added to the planting at Kilmacurragh, buying trees from a nursery established nearby at Dunganstown in 1780. When he died in 1854, the estate was inherited by his eldest son, once more Thomas, who did most to give the gardens their present appearance, not least by sweeping away the formal layout created by his forebears more than a century and a half earlier. Thomas Acton and his sister Janet worked closely with David Moore, then curator of the Botanic Gardens at Glasnevin, Dublin, and with his son and successor in the position, Sir Frederick Moore. It has been noted that Kilmacurragh during this period became an unofficial outpost for the Botanic Gardens, thanks to its climate and soil but also to its sympathetic owner who with his like-minded sibling travelled the world in search of plants to bring home to County Wicklow. In October 1958 the Hon. Garech Browne, then aged 19, discussed with his friend Ivor Browne (later a well-known psychiatrist), the problems Irish traditional music faced securing a wider audience than was then the case. At the time both men were students of Dubliner Leo Rowsome who played the uilleann pipes, the bellows-blown bagpipe which evolved from ancient Irish warpipes. Chairman of the Pipers’ Club (from which emerged the traditional music organisation Comhaltas Ceoltóirí Éireann) and the finest performer of his generation, Rowsome could find no record company prepared to issue a long-playing album of his music. It was believed a market did not exist for such material. Garech had already been thinking about establishing his own music label to record and distribute the music of traditional performers. But in an Ireland anxious to embrace modernisation, musicians like Rowsome were regarded as an anachronism, a roadblock on the way to progress. Following his conversation with Ivor Browne other people were drawn into the project including poet John Montague and genealogist Liam Mac Alasdair. It was discovered that the cost of producing a single LP was in the region of £500, then the average annual salary of a school teacher in Ireland. However the group of friends pluckily pooled their resources and pressed ahead. In the autumn of 1959 they issued an LP containing forty minutes of Leo Rowsome’s playing called Rí na bPíobairí – The King of Pipers. ‘Claddagh Records was launched at Garech’s mews flat in Quinn’s Lane,’ John Montague later recalled, ‘with a firkin of Guinness porter (of course) in the corner, and a party which roared on until dawn, the first of many such sprawling, splendid parties.’ However, since he was still not twenty-one and therefore deemed a minor, it was not legally possible for Garech to become director of a company. Only in 1960 was Claddagh incorporated and Garech could assume the position of company chairman. Thereafter the business, while always remaining small, began to flourish and as the 1960s progressed more and more albums were produced. It is indicative of Garech’s interests that the company’s second recording should have been not of another musician but of a poet. Patrick Kavanagh, like Rowsome the finest exemplar of his craft, was persuaded into a studio where he read almost everything he had written. In 1996 Garech undertook a complete refurbishment of Luggala, the fabulous late-18th century house in County Wicklow which his mother had been given by her father almost sixty years earlier and of which he subsequently became the most loyal custodian. As is often the case with enterprises of this sort, much of the work undertaken over the next few years was necessary but invisible. Among the more noticeable structural alterations, however, was the restoration of chimneys and battlements to their original height and scale since parts of both had been altered in the 19th century, as had the windows. The return of the latter to their original Gothic form is the most immediately dramatic modification of the building and the one which demanded the greatest assault on the structure, since sections of the external walls had to be removed. Once that work was completed, the coved ceilings of rooms affected were re-done. The result was even more radical than had been anticipated: the south-facing rooms are now inundated with light as the spectacular landscape beyond almost seems to enter the house. Douglas and Mlinaric looked to source identical successors for much of what had been in the house, such as the Pugin-designed drawing room paper. This was hand printed by London firm Cole & Son using the original blocks made in the 19th century by J C Crace & Son. Other papers for the house were printed by Irish specialist David Skinner. The library curtain fabric was made by Atkinsons in Northern Ireland. They had not produced this beautiful watered poplin for years but agreed to do it for Garech and to match the colour of his grandfather’s robes as a Knight of St Patrick. The red silk velvet for the drawing room curtains came from France, and the silk for the inner curtains was made in England by Humphries Weavers. Every single item in the house is special in some way – nothing was off the peg. Even the carpets were specially dyed. As an instance of the trouble taken over the furnishings, the drawing room settee, originally made for Russborough, is now covered burgundy-coloured velvet. This fabric was gauffraged, or stamped, by a firm in Lyons using surviving 18th century wooden cylinders which broke during the process, meaning this technique can never be repeated. Is there a better – or more gorgeously – dressed man in Ireland than Garech Browne? It seems unlikely since no one else takes as much care over his appearance or over co-ordinating the colour, texture and fabric of his clothes. For all that, Garech is neither vain nor exhibitionistic. He does not particularly care to have attention drawn to what he is wearing and can seem almost abashed when this occurs. He is far from being a poseur, dislikes the company of those who are merely so and is probably most at ease when least noticed. He can, however, talk eloquently on the history and development of costume and loves to describe each element of his extensive wardrobe. This perfectly describes Garech’s own approach to clothing, which is simultaneously individual and yet conformist. Individual in his fondness for mixing unusual tones and materials, he still complies strictly with what could be construed as old-fashioned rules of correct dressing. He insists, for example, on wearing braces – ‘they make your trousers stay up and I find them comfortable, as a matter of fact’ – and also always closes his shirt sleeves with cufflinks. If the colouring of his clothes is original, the cut is not: tradition rules when it comes to tailoring, and he is a stickler for good form in matters of style. But he has no desire to look the same as every other well-dressed man. ‘I don’t want to be a sheep,’ he remarked about his personal mode of dress 20 years ago. ‘Very boring to be a sheep.’ Having found a style he felt suited him, he has remained loyal to it ever since; he has worn the same beard, albeit grown steadily greyer, for more than two decades and his hair is forever worn tied back by a piece of ribbon. Garech says he has always loved good clothing. He remembers being aged 11 when his first suit – a two-tone corduroy number – was made by a tailor called Scott with premises in Dublin’s Lincoln Place. In adulthood he chose to follow the example of his father and grandfather, and has his coats and suits made by London tailors Lesley Roberts. His shirts are made by Turnbull & Asser, his shoes by Lobb’s. Ties and braces come from a wide variety of sources including Hermes, Charvet and Lanvin. Whenever his clothing is specifically made for him, he provides the raw materials. These come from various sources including silk poplin from Egypt, Thai shot silk and heavy raw silk from India. Then there are the traditional Harris tweeds he has bought from Scotswoman Marian Campbell, as well as Irish tweed from Clifden’s Ronnie Millar and the Foxford Mills, and báinín from Ó Máille’s in Galway. His shoes are made not just from leather but also the skin of sika deer and ostrich and even elephant ears. Buttons, most often of mother-of-pearl, come from The Button Queen in London. His wardrobe is extensive but consistent; suits tend to be ordered in batches of four or five, and all of them carry the date of manufacture inside a breast pocket. In addition, they are without exception immaculately finished and in many cases interchangeable: a waistcoat from one ensemble, for example, is worn with the jacket and trousers from another. The most striking aspect of Garech’s appearance is his fondness for colour. ‘I love different shades and not having everything strictly the same,’ he remarks by way of explanation for a blue check jacket being thrown over a brilliant yellow waistcoat (‘I like waistcoats and always have’). Taking pleasure in colour is a trait of the dandy. Garech’s approach to dress is epitomized by a complex intermingling of texture and tone. He will wear the finest silk beneath the coarsest tweed, he will allow one pattern to jostle with another for predominance, and is not afraid of striking sartorial notes which on another man might be perceived as discordant. In addition, there is an attention to detail which must usually escape everyone but Browne himself. A late 19th century French dandy, the Prince de Sagan, used to have his black silk top hat lined in green leather, a small luxury likely to be appreciated only by himself. Similarly Garech will use the most brilliantly-hued silks inside his suits where they will be seen by his eyes alone. This is the mark of the true dandy. He explains, ‘You know, in Edo Japan one was not allowed to dress fabulously. Men were completely limited in the colour of their kimonos, so they had brighter shades hidden underneath. When Balzac wrote, ‘one may become rich, but one is born elegant,’ he might have had Garech in mind. He has enjoyed the income to dress well but this does not explain his interest in clothes. After all, there are plenty of wealthier people who look neither so polished nor as stylish as he. To be original is to invite disapproval. This is why Baudelaire’s vision of the dandy as revolutionary is so perceptive. Dandyism is a form of contained rebellion in which certain rules are broken but others strictly obeyed. It is also often a form of aesthetic self-expression, an opportunity to give public voice to private interests. In Garech Browne’s case there is an obvious correlation between his advocacy of Irish traditional dress and Irish traditional music: he not only wears the clothes and cloths of Connemara but also, more than 30 years ago, founded Claddagh Records which has done so much to revive the fortunes of this country’s original performance arts. Text extracted from my book Luggala Days: The Story of a Guinness House, with photographs by James Fennell.